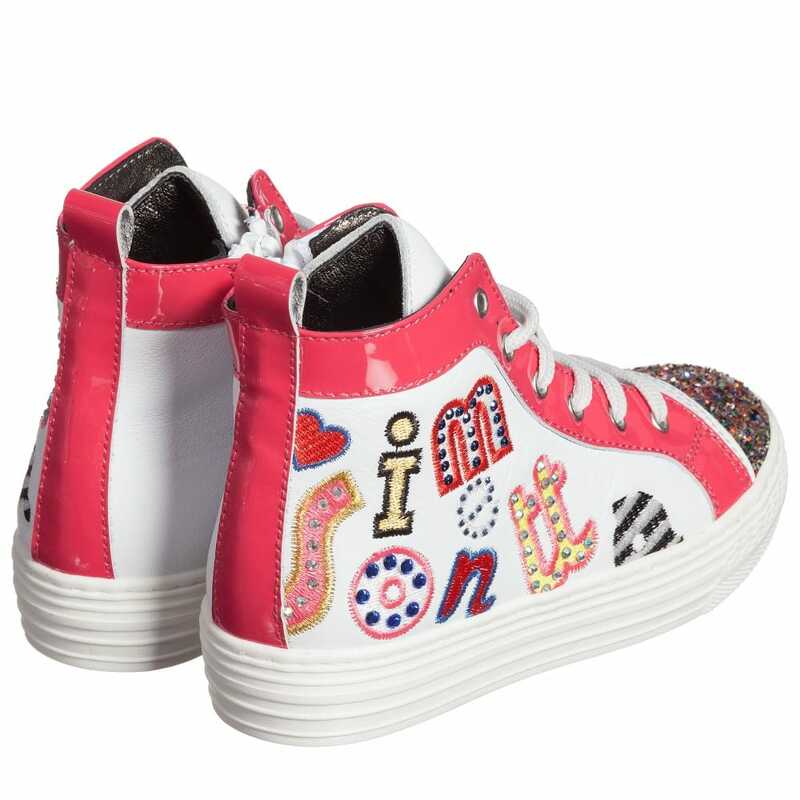 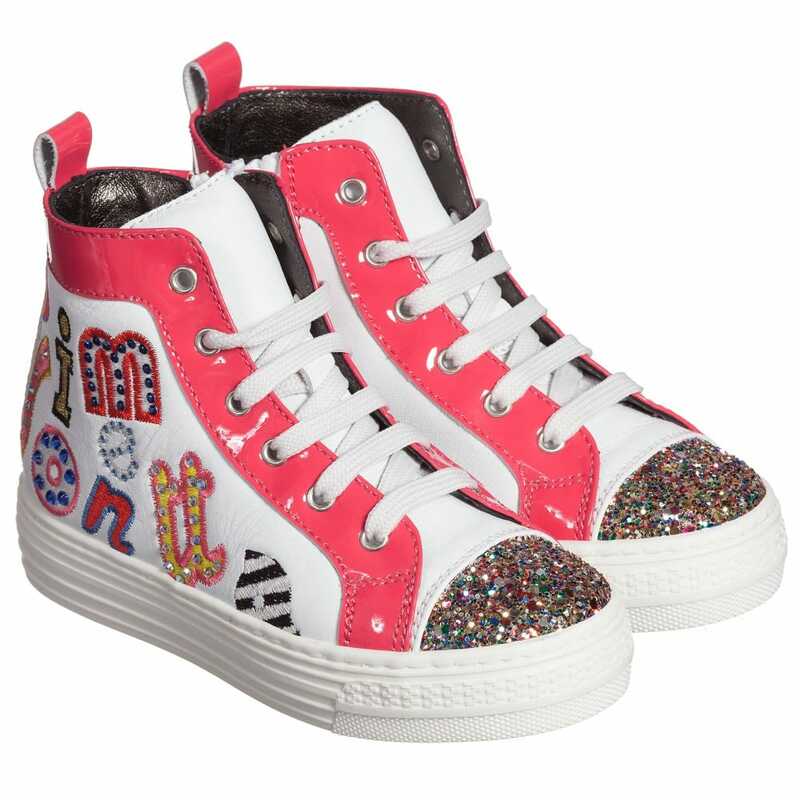 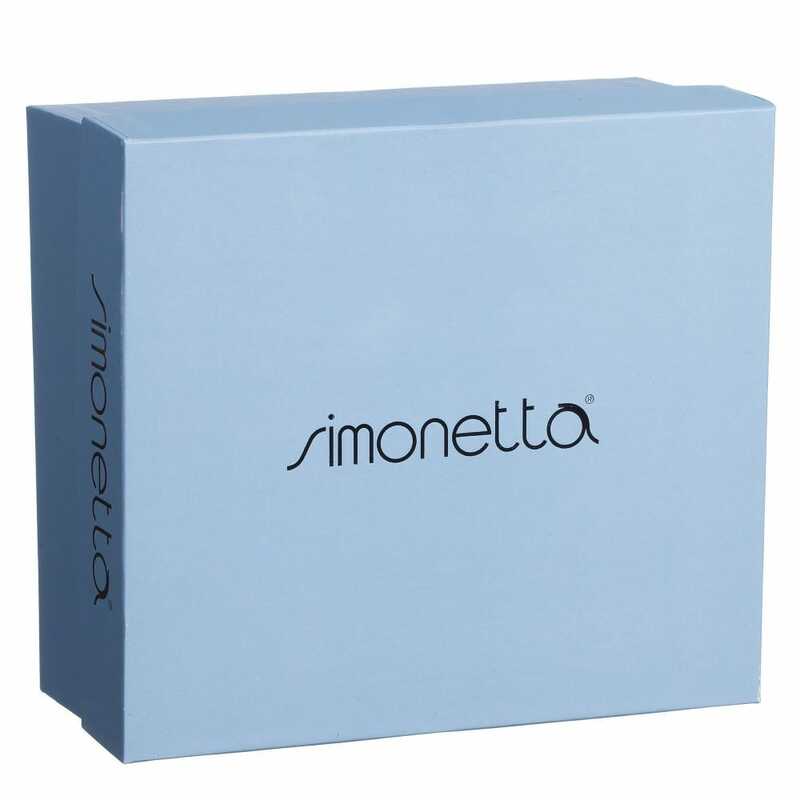 Delightful little girls high top trainers made by Simonetta. Made in Italy. 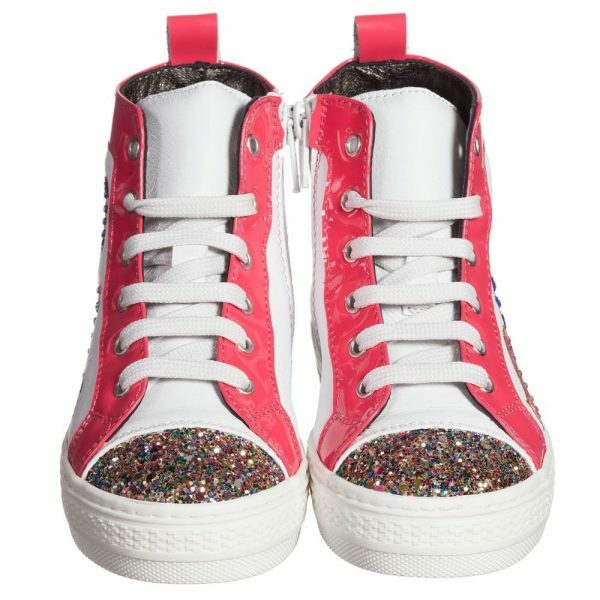 They have a stylish design with coral pink patent leather trims and glitter that gives super sparkle. 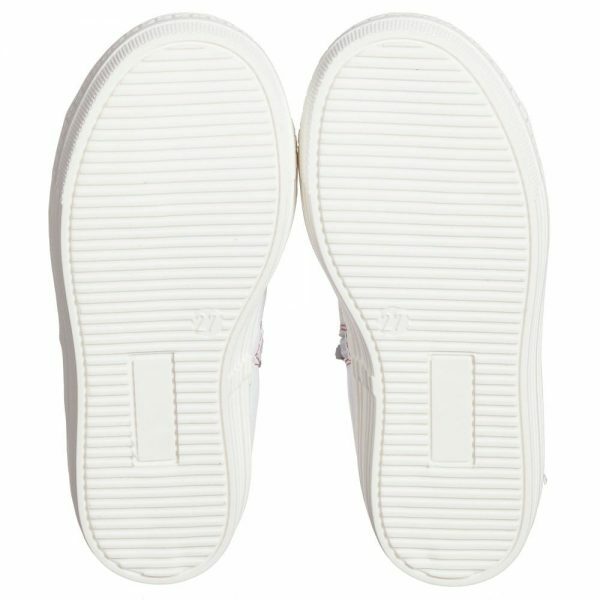 These trainers have a soft leather lining that gives extra pleasure to wear every day. This item is irreplaceable to take on daily walks. 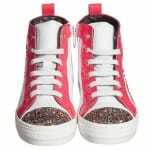 They have fasten with laces and a side zip for easy putting on. 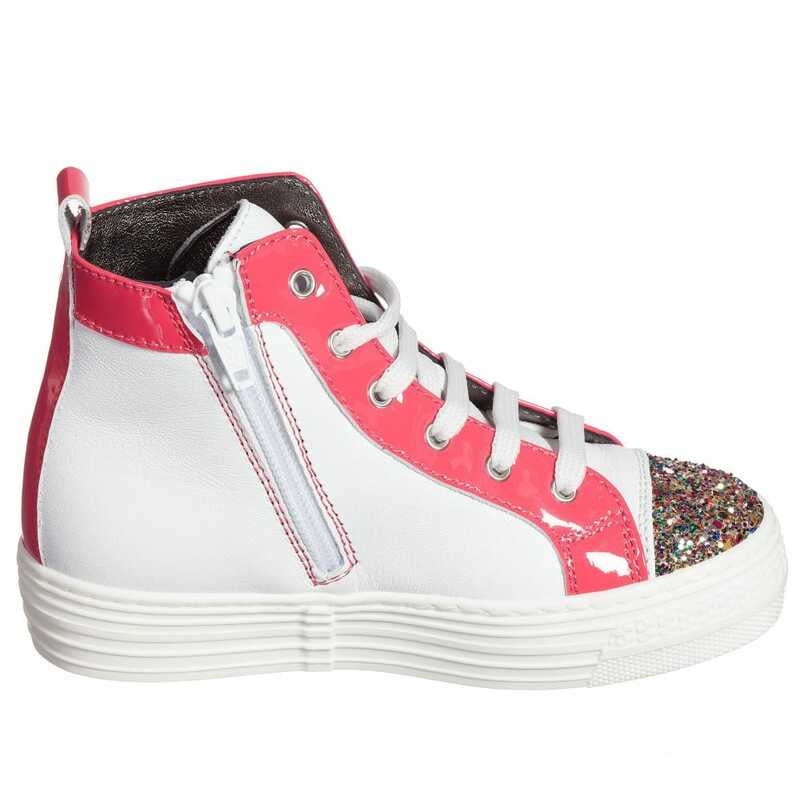 These trainers can be in different sizes for girls from 24 to 32.